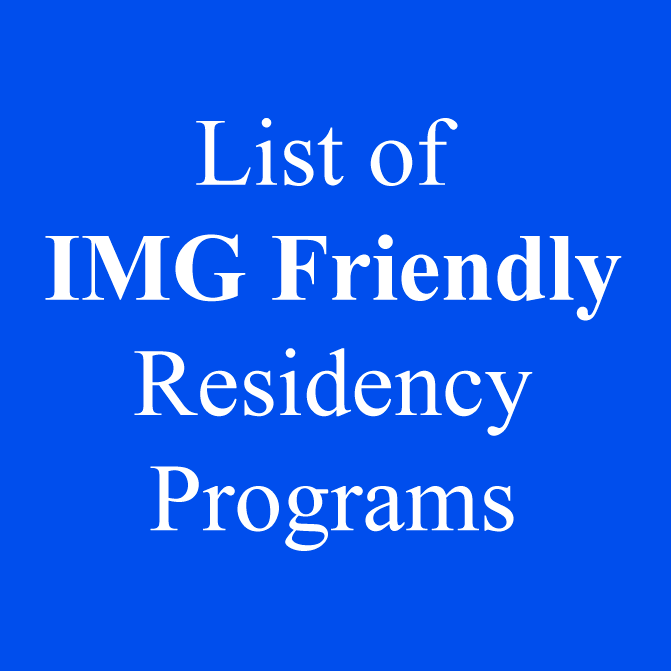 One of the most time-consuming part of the residency process is making a list of IMG friendly residency programs. 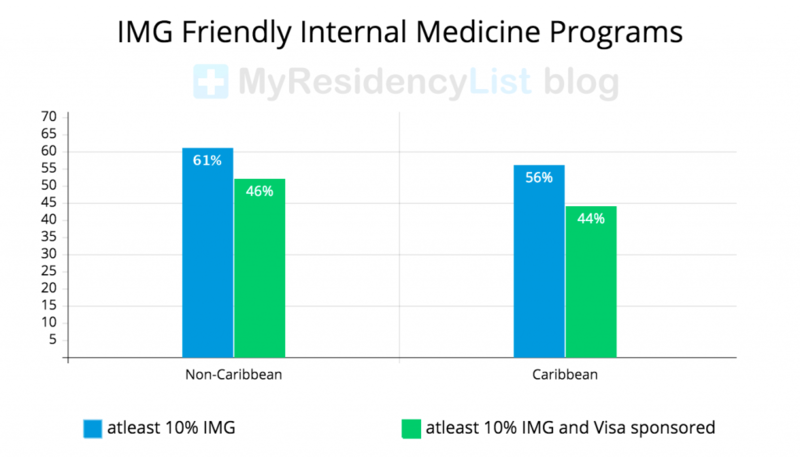 As an IMG you should only apply to IMG friendly residency programs whose program criteria you meet. It is very important to be selective in where you apply as there are thousands of programs. With so many programs, application fees can amount to thousands of dollars. Narrowing down to a couple hundred programs involves determining the intersection of your profile overlapped with program criteria. 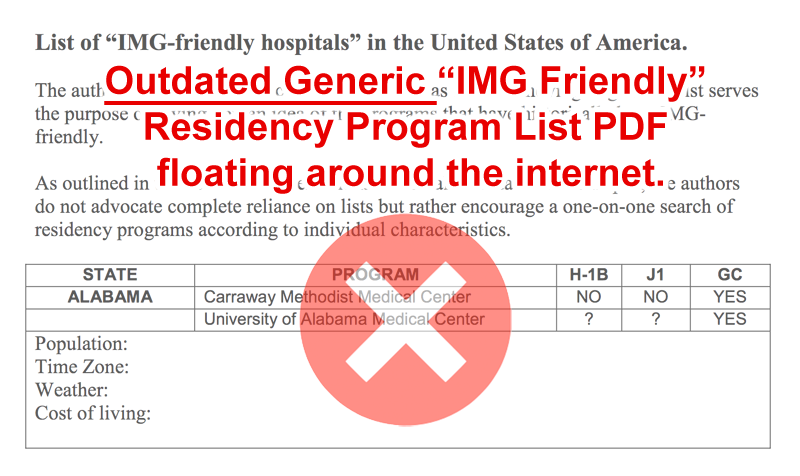 Do not use the generic “IMG Friendly” Residency Program Lists floating around the internet. You want to tailor the list to your unique profile based on several other factors. The factors are scores, visa status, type of IMG, years since graduation, USCE experience – one size does not fit all. Additionally do not believe a program is IMG Friendly merely because they state so on their website. 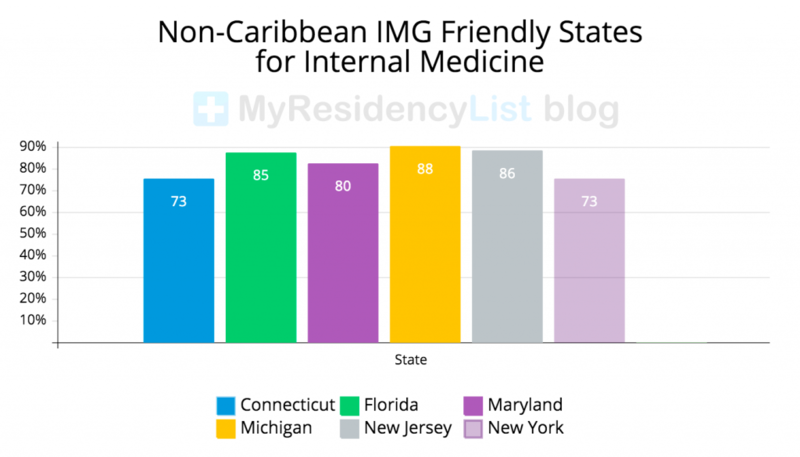 There are a few tools online that generate lists of IMG Friendly Residency Programs claiming to also reveal percentage of residents that are IMGs. There absolutely needs to be a distinction between Caribbean vs non-Caribbean IMGs since many programs heavily favor one over the other. 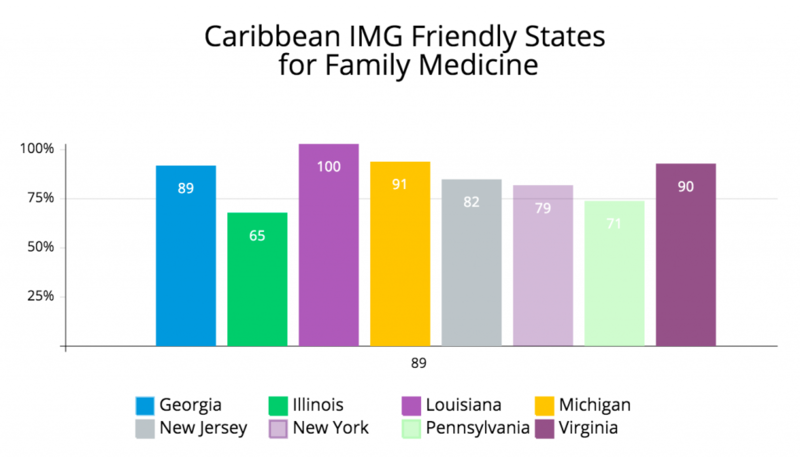 An example of this is Family Medicine where programs are statistically twice as Caribbean IMG friendly vs Non-Caribbean IMG friendly. These statistics provided by these tools generalize IMG types as one. All IMGs are not created equally. I started off creating an Excel spreadsheet with tabs for each specialty I wanted to apply to such as “Internal Medicine”, “Family Medicine” etc. Next I went to Freida and searched for programs filtered by specialty and location. We only wanted to apply to certain states where there was potential for job opportunities for my spouse. Being in the IT field we restricted ourselves to California, Arizona, Nevada, Texas, New York, etc. I copied and pasted the search results from Freida to Excel into the respective specialty tab. Next I visited the website of each and every program (which was very tedious to say the least!). I tried to look for each programs application criteria whenever it was specified. I removed or kept the program in my spreadsheet based on whether I met the criteria or not. You will sometimes find this information on the FAQ page. The final filter and most important one was to remove or keep programs based on whether they were non-Caribbean IMG friendly. 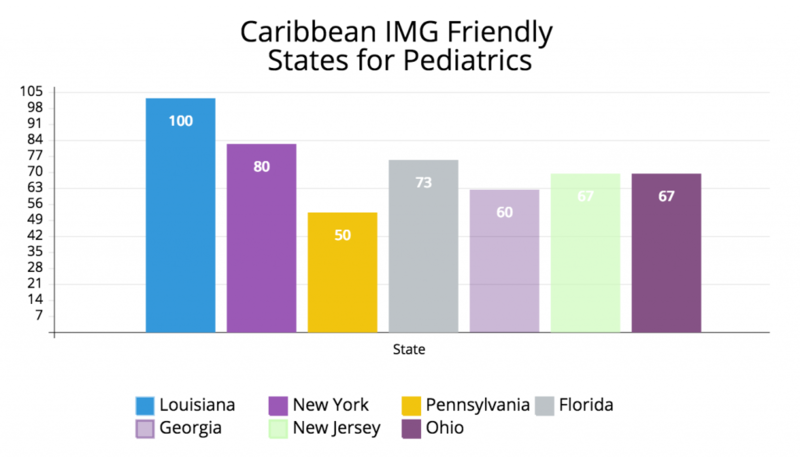 The IMG percentages on Freida do not distinguish Caribbean IMGs from non-Caribbean IMGs. I went through the Current Residents page of each site counting number of non-Caribbean IMGs and dividing them by total number of residents. I entered this percentage in my spreadsheet. As absurd as this may sound, it is the best indicator of whether a program is TRULY IMG Friendly or not. You will come across several programs claiming they welcome IMGs but a quick look at their current residents will suggest otherwise. Many programs do not have detailed information on their websites, so I attempted to contact them by phone and email. In most cases I was greeted with a voicemail or received a generic reply. I finally picked the top 200+ programs based on reputation and percentage of non-Caribbean IMGs and applied there. It was relatively quick to detail the process of shortlisting IMG Friendly Residency Programs but it took several weeks to compile. In conclusion you should only apply to those program whose application criteria you meet. Otherwise its very easy to get carried away, applications = money – so apply smart! MyResidencyList.com. 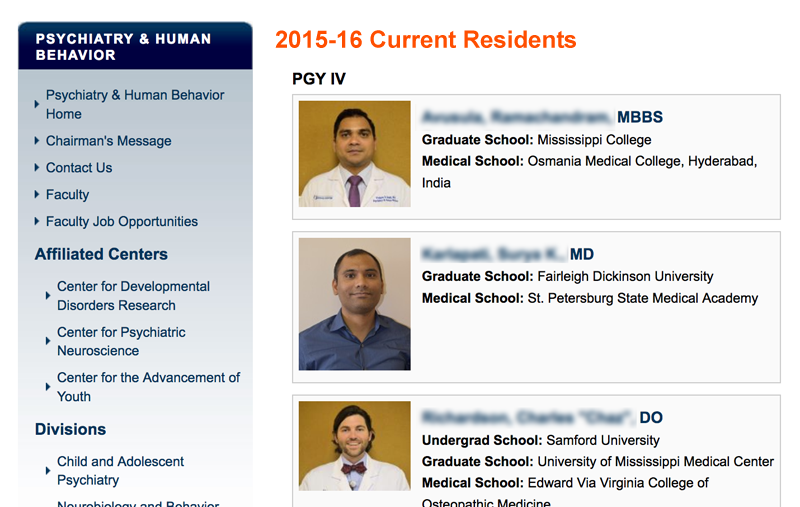 It allows you to generate a list of IMG Friendly Residency Programs to apply to – Custom-Tailored to your profile. Your custom-tailored list is based on your USMLE scores, clinical experience, years since graduation and factor in whether you are a AMG, Caribbean IMG or Non-Caribbean IMG. If this post was useful, Please Share with your Friends using the Buttons below! For the 2019-2020 season the Residency application fees are as follows. The focus of all previous posts has been to help IMGs through the residency process. However this post is about fellowship programs, specifically Rheumatology. I have applied to Rheumatology programs this year and have found that programs still favor AMGs (American Medical Graduate) over IMGs (International Medical Graduate). 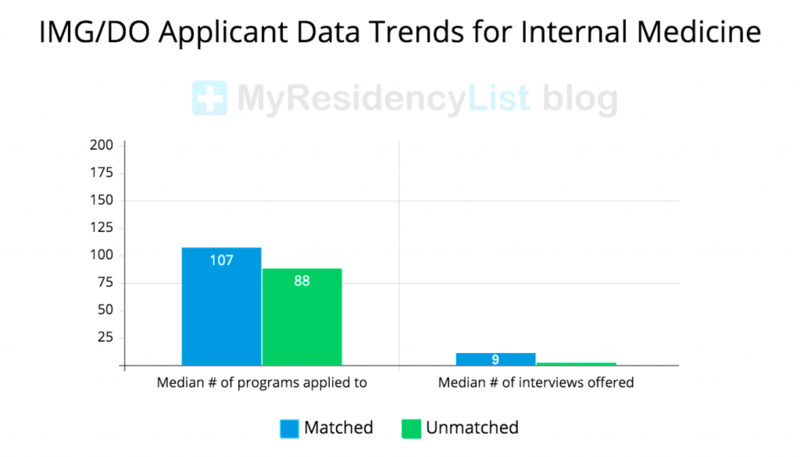 However from my personal experience I have yielded many more interviews to reputable programs this time around as opposed to during the residency application process. 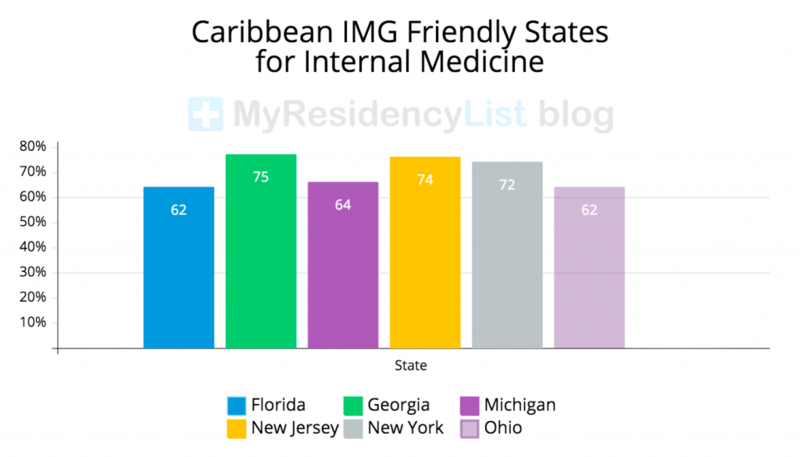 I believe this is partly due to most non-Caribbean IMGs gaining US clinical experience during residency which they lacked prior to residency. Interview invites were sent to candidates as early as July 18th and the latest September 10. In case their is no living will or healthcare proxy and the patient does not have the capacity to make decisions first we ask the spouse of the patient regarding what the patient would have wished for him/herself. The next assigned proxy are the parents or children of the patient. Brain-dead means the patient is dead even if the heart is beating. You can take off ventilatorly support (need no permission) but before turning off the ventilator its advisable to explain to the family members the meaning of brain-dead and obtain consensus. A psychiatrist and his/her patient can never have a sexual relationship even if the physician-patient relationship is terminated. Impaired driver (history of seizures or vision loss) should report him/herself to DMV first. If on persistent counseling he/she does not report by him/herself you may have to report to DMV. Am I at a Disadvantage for requiring Visa Sponsorship? Applicants requiring visa sponsorship may have considered whether they are at a disadvantage for not being a US Citizen or Green Card holder. And likewise those with US Citizenship or Green Cards may wonder if they have an advantage over those without one. At the time of application I was a green card holder and too wondered whether I would be given preference over those requiring visa sponsorship. As you may have noticed I like to provide data and charts in my blog posts to justify my opinions, however I do not have any hard evidence for this topic. But I can share my opinion based on analyzing the profiles of hundreds of applicants (with varying immigration status, scores, USCE, etc) during my match year it seems like there is no apparent advantage amongst IMGs. The number of interviews an applicant was offered seemed to be more or less the same for any two similar applicants regardless of status. So in conclusion I would say there definitely is no harm in being a US Citizen or Green Card holder but no significant advantage either as it pertains to yielding interviews. Whether immigration status affects your ranking order as an applicant is another topic altogether and would nearly be impossible to know, atleast in a general sense. 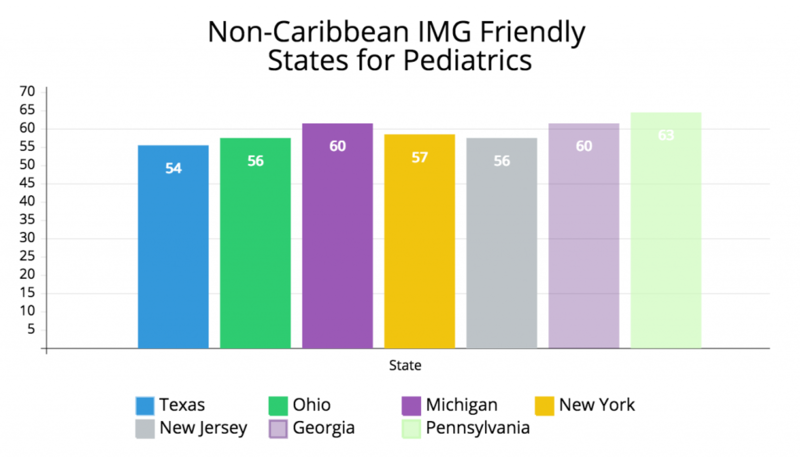 This chart goes into more detail showing the most Non-Caribbean IMG friendly states. Again, for my purposes I defined IMG friendly as any program which IMGs made up 10% or more of their total residents in the past 3 years. 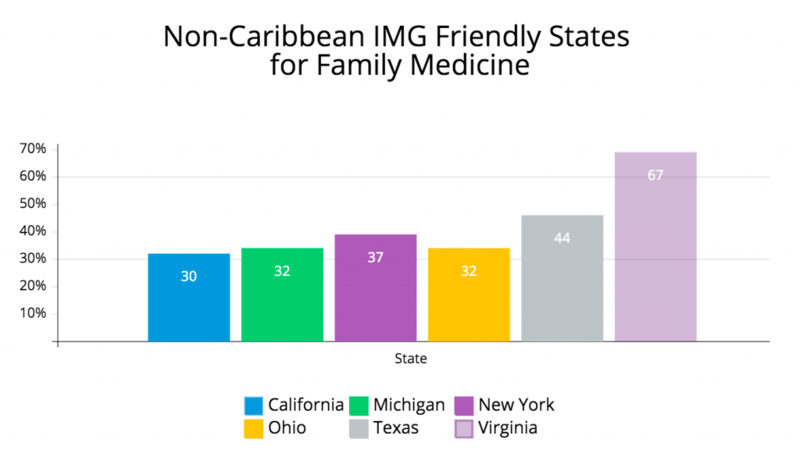 The numbers denote the percentage of programs in the particular state which were Non-Caribbean IMG friendly. It’s no secret that as an AMG the median number of programs you need to apply to is far less than the number IMGs need to apply to in order to be offered the same number of interviews to ultimately match. The number of AMGs that match every year ranges between 92-95%, whereas for IMGs it is 50%, according to NRMP Match Data. 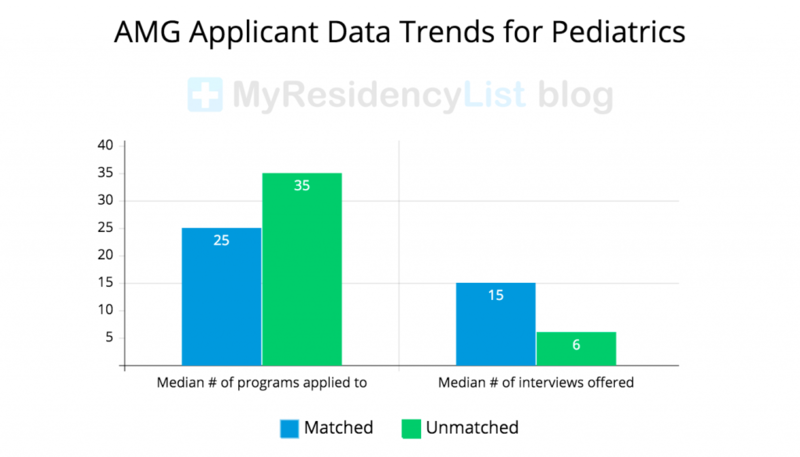 On average, across these 5 specialties, 65% of programs will offer an interview invite to AMGs that have applied. In contrast, on average only 14% will offer an interview invite to IMG/DOs. This means IMG/DOs will need to apply to significantly more programs in order to yield the same number of interviews. Based on my own experience I think you should aim for 10 interviews in order to maximize your chances of matching. In theory, all you may need is one interview invite and for that program to rank you high in order to match. But in reality the more interviews you are offered and attend the higher your chances of matching. In light of this data from NRMP and my personal experience in the match, Non-Caribbean IMGs should apply to a MINIMUM of 100 programs to be safe. My stats were IMG/Step1: 250s/Step 2: 260s/No Visa needed and I applied to over 200 programs and received about 20 interviews (10%). With thousands of programs, it is very important to be selective in where you apply. You should only apply to programs whose criteria you meet. MyResidencyList.com will generate a list of programs matching your unique profile including your scores, whether you are an American Medical Graduate, Caribbean IMG, Non-Caribbean IMG, clinical experience, years since graduation, etc. Their database is based on information collected from various sources including phone calls to the programs, program websites, prior match results and more. This is a chart depicting the percentage of IMG friendly programs based on IMG type. For my own purpose I defined “friendly” as any program where IMGs made up 10% or more of the total residents in the past 3 years. 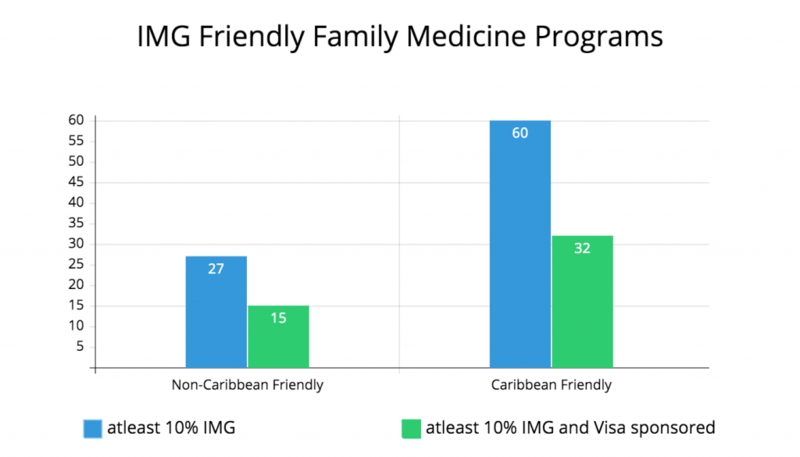 The percentage of Non-Caribbean IMG Friendly programs vs Caribbean IMG Friendly programs is nearly identical – which is much more assuring than the data trends for family medicine. 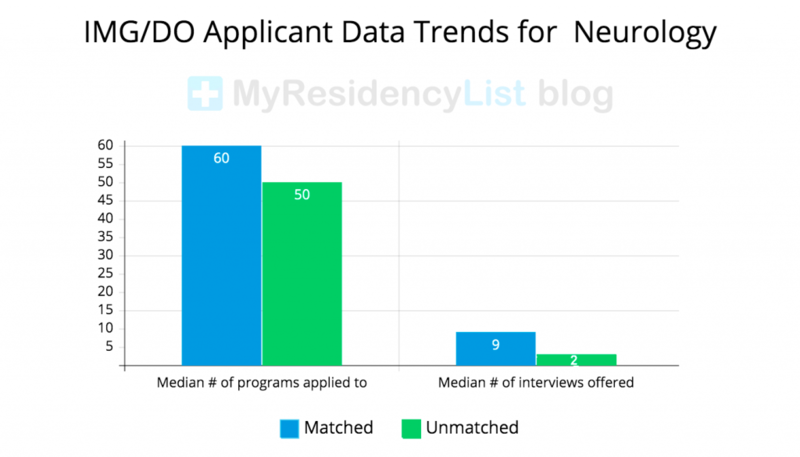 What To Do After Applying to Residency Programs? Let me tell you, you will be on what seems like the longest emotional roller coaster of your life after you Apply. Constantly checking the forums for news from others and manically refreshing your inbox. I remember constantly checking my email between the hours of 6 am – 3pm PST hoping to hear from programs. I impatiently wished the day would end after 3pm so that I can magically wake up the next morning to some good news! The best thing to do is nothing, you should take a vacation or spend some time with friends and family, after all you should be proud of yourself for making it this far. I remember being anxious when someone on the forums would report receiving an interview invite, especially when it was from a program I also applied to. Not all programs send out invites once or at the same time. Just because you know of someone who received an invite from a particular program and you did not, doesn’t necessarily mean you will not in the future. Another topic not often discussed is the opportunity to interview at newly accredited residency programs. 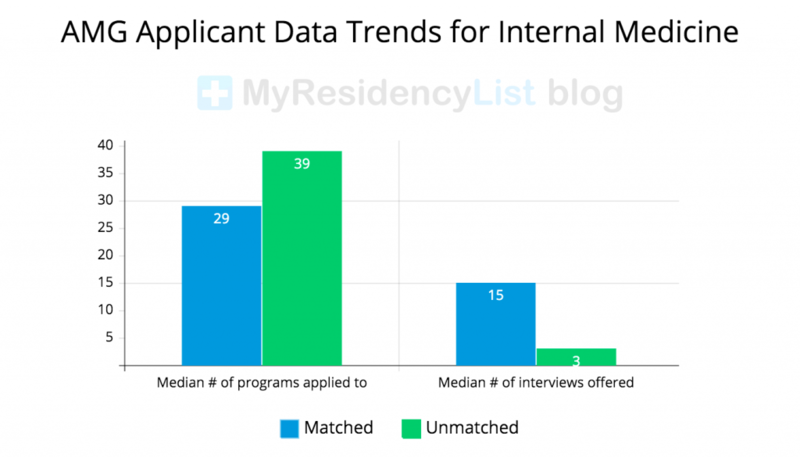 During my match year the Residency Match registration opened up September 15, after registration opened up several new residency programs became accredited! I assume part of the reason why applicants don’t discuss these newly accredited programs is that there is a competitive advantage in keeping quiet about them. I personally came to know of a few newly accredited programs through friends of mine that were kind enough to share that information with me. I applied to some of these programs and they resulted in interview invites. For these new programs it might be difficult to receive a desired number of applicants since not many applicants may know about their program in the first place. Standing out in a pool of fewer candidates coupled with the fact they might need a year or two to figure out who their ideal candidate is may help you gain an interview invite. Furthermore in my experience the Program Directors for these programs were highly ambitious in wanting to make their program successful. Electric Kettle: This has to be at the top of my list! I cannot function without Chai in the morning just like most people cannot function without coffee. Coffee is much more accessible on the road almost every motel/hotel has a coffee maker along with the necessary ingredients like coffee powder, sugar, and creamer. I bought a cheap electric kettle from Target to make Chai in. I always brought my own tea bags along, sugar was always available in the motel/hotels, and I bought milk from nearby gas stations. Umbrella: An umbrella is a must especially since interview season falls between October and February. Most places around the country its either raining or snowing during this time. Medicine: I always carried Advil and NyQuil Cold & Flu with me wherever I traveled. Although this can be purchased anywhere it is good to have on your person. On a couple of occasions this came in very handy when I felt I was coming down with the flu, the NyQuil really helped. Laptop + TV Shows/Movies: There were times where I was in the same city for several days due to a gap between interviews. After you have a few interviews under your belt you are more confident and prepared for future interviews. Having several days of free time in between interviews can be boring sitting in a motel/hotel. I always had my laptop with me and would watch TV shows or movies on it – it was also good for relaxing my mind. Non-Perishable Foods: We were once stuck in snowstorm Jonas which lasted several days and pretty much forced to stay indoors at the hotel. All the local businesses were closed and getting in and out of the hotel was near impossible. We were lucky to have a bag full of non-perishable food which got us through this difficult time. Declining to require second visits or visiting rotations: This means PDs and interviewers should understand that requiring applicants to visit a second time may place logistical and financial hardships on the applicant. If the applicant is unable to visit a second time it should not affect their ranking. In this post we share information on how much do residents make and in addition to salary the typical benefits. Below is some information on the salary and benefits offered by the programs I ranked. Health Benefits: All programs offer Medical, Dental, and Vision, for you and your family. Basic plans are often free, the ones with better coverage will cost you. Going through the various plans here would be impossible! I wish this topic existed when I was going through interview season! I am going to share some tip and tricks on how to get through the hectic interview season as cheaply and conveniently as you can. 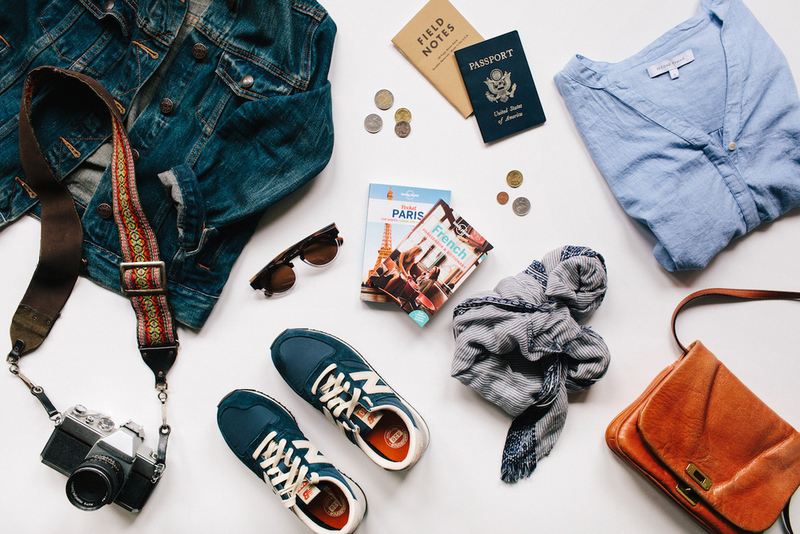 I love to plan every little detail when I travel and pride myself on doing it as economically as possible. I had 20+ interview and attended most of them and here was my experience! I had already spent nearly $5000 on applications and with 20+ interviews I thought boy it’ll certainly cost more than that on travel alone! But I managed to attend these interviews for much much less than I thought. My favorite interviews were the in-state ones since you don’t have to break the bank to attend them and also you wont get homesick! All of my local interviews were within a 3 hour drive so transportation was cheap (having a hybrid helps!) and being day trips we didn’t need to book hotels. I paid around $100 in total for gas for all in-state interviews. I don’t consider this a cost to consider since food is a fixed cost regardless of where you are, obviously its cheaper to eat at home but with the hectic schedule who has time to cook anyways! For our first out of state interview we traveled by road with a relative who happened to be going there at the same time as our interview and it cost us nothing. Our next set of interviews were on the east coast, my spouse and I both flew round trip from the west coast to New York twice for free! Most of our out of state interviews were in NY or neighboring states to which we traveled in a rented car. The only flight we paid for was from NY to FL and it was for a total of $266 for 2 tickets. Now you must be wondering how I got those free flights, the secret is credit card signup bonuses. When you signup for most credit cards in the US they give you signup bonus miles. There is one small caveat – you only get those miles after you have spent a minimum amount of money on the card – in most cases it was $3000 per card. 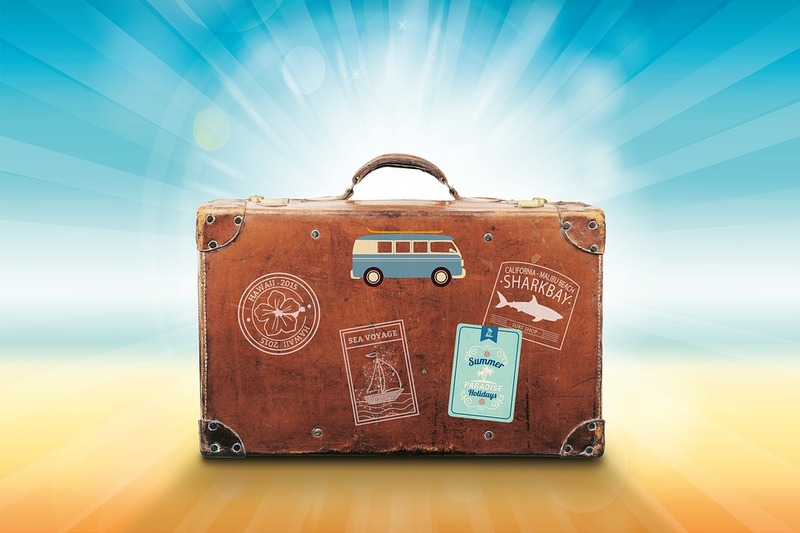 The optimal piece of advise would be to crash with friends and relatives wherever you can, although we had friends and family in many of the cities where we stayed we preferred to get our own places. You can also offset your costs by renting out your place on AirBnB we did this for a few days and earned a decent amount of money. Flights: $266, we saved about $1500+ on flights using credit card signup bonuses! An average cost of $177/interview is not shabby at all! That includes getting there, putting a roof over your head, interview clothes, etc. We used the extra money we saved to travel in New York and Florida: we visited Epcot, the Everglades, Florida Keys, Times Square, Statue of Liberty. After the interview season had come to an end on the USMLE forums I often saw candidates asking others for advice on how to make their rank order lists. In my opinion no one knows better on how to make your rank order list than you. Different people have different factors of varying priorities in their lives. You need to decide what your factors are and which are the most important to you – no one can make that determination for you! For me personally job opportunities for my spouse, potential for fellowships after residency, salary to cost of living ratio were the most important to us. Firstly we organized our list based on preference of specialty. We further organized the programs within each specialty based on fellowship opportunities – we ranked the university based programs higher than community based programs. University based programs will obviously give you a higher chance at in-house and fellowship opportunities at other programs than community based programs. We then arranged our list based on the salary to cost of living ratio. Salaries for the various programs ranged from $50k to $60k and the cost of living (primarily rent) varied a lot across cities. We researched the average rent for a 1 bedroom apartment by looking at Craigslist listing for the various cities. We logged all this information in an Excel spreadsheet. Aside from rent we also took into account whether we would need a second vehicle based on the available public transportation in each city. We used Google Maps to determine public transportation availability. Each candidates priorities can range widely based on whether they are single, married, have kids, financial situation, or other obligations in their personal lives. So my best piece of advice on rank order lists is to write down a list of factors and their priority for you and based on your unique set of circumstance make your own rank order list! Many applicants have friends or family that have already matched and are currently working as residents or others that are in the medical profession. Some of these applicants will reach out to their friends or relatives to put in a good word with the program coordinator or program director in an attempt to help their application. References are a legitimate way for managers in corporate America to identify good candidates for open positions. An employee vouching for a colleague from a past job or from a personality standpoint is helpful to managers. In the context of the residency application process a candidate may receive an interview invite on the basis of a reference however I believe only in certain cases will that matter much. If a program director or a selection committee does not send out an invite to an applicant its probably based on particular criteria they have set which the applicant does not meet – in this case enlisting the help of a friend or relative to gain an interview might not mean much in the long run. On the other hand being acquainted with a faculty member or program director that is aware of your credentials/character might be more beneficial. In cases where the candidate may have an exceptional personal story which would not otherwise be apparent on an application it might help. It might help during the ranking process when it comes down to ranking two identical applicants, having someone personally vouch for one of them might provide an edge. 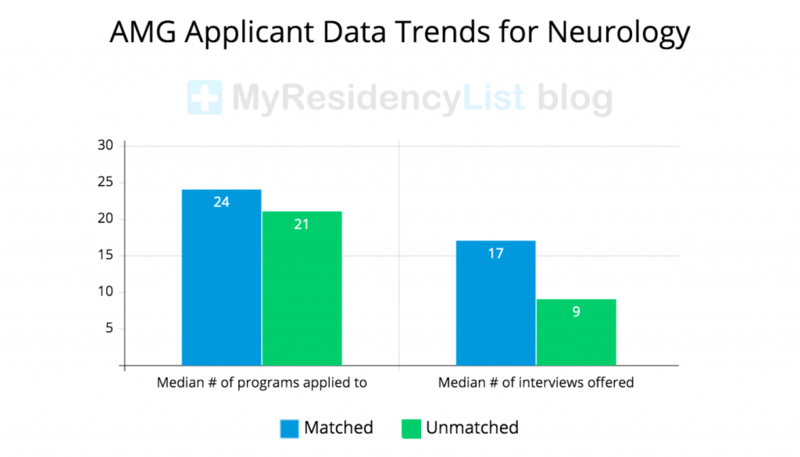 You’ve heard the infamous phrase “location is key” well it certainly seemed to hold true in my experience applying for residency. During the application process most people discuss scores, AMG vs IMG, visa status, or year of graduation but rarely does anyone discuss location. After I applied I kept a spreadsheet which I would religiously update everyday which tracked interview invites to applicants (from programs where I applied) along with those applicants stats as they reported them in the forums. Surprisingly the data revealed that location was a huge factor. 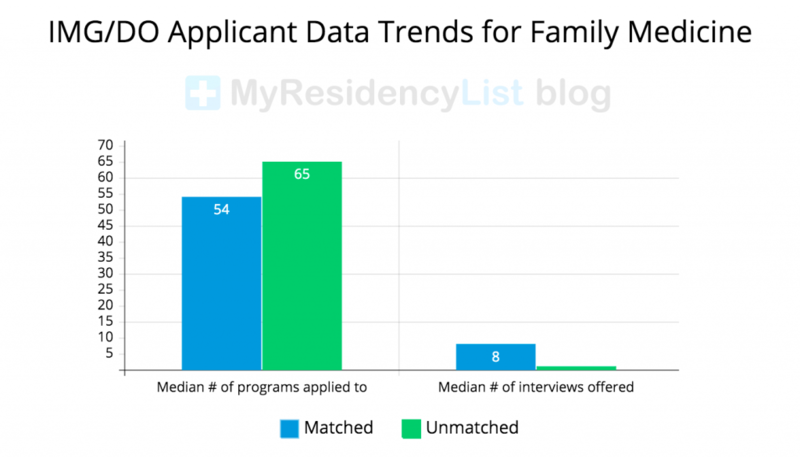 I noticed applicants were receiving a significant number of interview invites from their resident states vs other out-of-state applicants with nearly identical (and in many cases stronger) profiles not receiving invites. Of the 20+ interview invites I received a significant percentage were from IMG friendly programs in the state where I lived. There were many out of state programs where I did not receive invites from that were sending invites to local candidates with significantly lower scores or those requiring a visa. 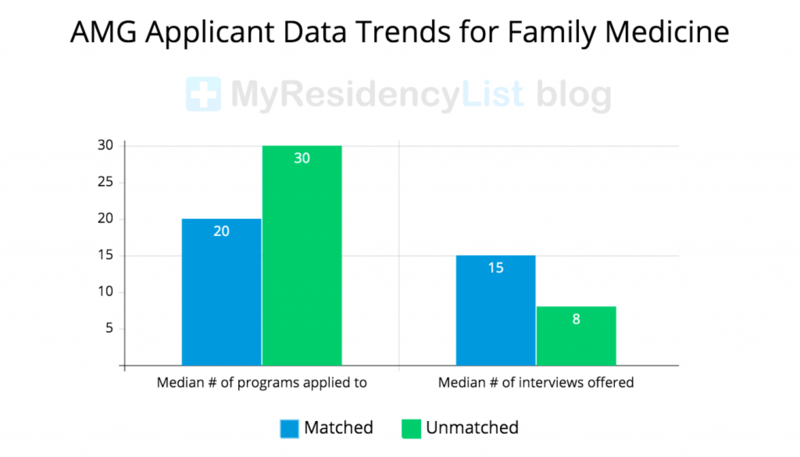 And this makes sense as well, at many of the places I interviewed the program directors seemed very keen on having potential residents settle down in the area after residency – especially those programs located in more rural settings or under-served communities. 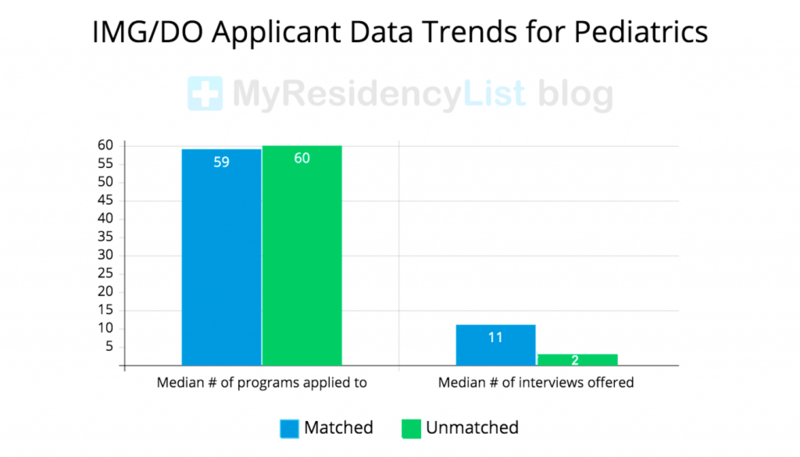 Program directors may feel that a local candidate has a stronger connection to the particular community and the likely-hood of them staying around after residency being much more significant than an out of state applicant. Another factor (which I had no insight into) might be the fact the applicant may have done an observership or externship at the particular hospital being local to it and may have left a positive impression. The obvious takeaway should be to definitely apply in your resident state as it could be a huge factor in receiving interview invites. In this post I will share my USMLE Step 3 preparation process. I wanted to pass Step 3 before starting my residency therefore I was not able to devote as much time for preparation. Since it had been more than 1 year since I took Step 2CK I decided to start with Master the Boards Step 3 to brush up on my knowledge. But I didn’t spend much time reading the book and after 10 days I started doing UWorld questions. Once I had gone through 50% of the UWorld questions I started doing CCS cases from UWorld since it takes some time and practice to become familiar with the software for the CCS cases. Simultaneously I watched a few of the Archer videos. I particularly liked the introductory video in which he tells about the various tips to order tests quickly and also when to change the location of the patient. I did all 51 CCS cases from UWorld twice and read the other 41 cases once. After finishing UWorld (both questions and CCS cases) I took UWSA and scored 239. Then I took my exam and I took a gap of 3 days between day 1 and day 2 because I wanted to go through the CCS cases at least once again since they constituted 50% of the Day 2 exam and also had a great bearing on the final score. The part of the residency match process that made me the most nervous was undoubtedly the Step 2CS. In my opinion, one of the biggest flags on an application is not passing Step 2CS on the first attempt and that made me worry. Step 1 and Step 2CK are only a representation of your theoretical skills. Step 2CS is the only thing on your application which is an indicator of your clinical skills. While externship experience or letters of recommendation may be an indicator but they can be attained through personal contacts and as a result, may not be given much weight. Practice with someone with good English-speaking skills and is preferably from the United States because some of us IMGs may have difficulty understanding an American accent. On the day of the exam the, fear of not being able to understand your patient’s accent can make you nervous. Make sure your typing speed is good because your interactions with patients are timed during the exam. 10 minutes might sound like enough but I felt the time crunch – I was glad I practiced typing before the exam. Try to get to a typing speed of at least 35 wpm. There are several free websites online to help improve your typing speed. but I feel it is important to give yourself at least a month to prepare. Passing the Step 2CS in the first attempt is as important as getting scoring well on Step1 and Step 2 CK. First Aid for USMLE Step 2CS: I read all 44 cases from the book twice, not only reading them but also practicing them with someone. CSE Videos: Felt like they were based on the First Aid book but did not feel like they affected my outcome much. If you are not confident in performing certain examinations/maneuvers you can find many videos on Youtube.